(January 6, 2012) The first meeting of the Steele Creek Historical and Genealogical Society was held in November 1993. For 18 years the society has published its newsletter Gleanings, which has preserved much of Steele Creek's history with contributions from society members and others. But members are no longer submitting many stories, family histories, letters, or pictures. The society needs more participation by the community to try to save the history of Steele Creek. The following article was published in the first issue of Gleanings in January 1994. It was taken from discussions and plans made at the first meeting of the society in November, 1993. About 20 people attended the first meeting. 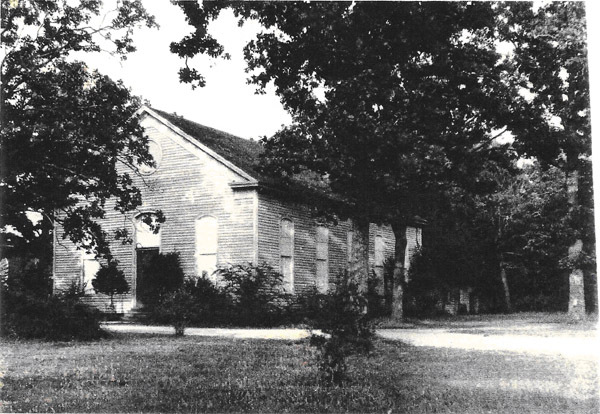 The Purpose of the organization was to put forth the effort to preserve the history of families, homes, buildings and traditions of Steele Creek. So many of our homes and landmarks are gone and we grieve over the loss but don't do anything about reconstructing our history in pictures and print. There are so many ways we can make a record of our history if we but join together and share our records, photos and memories. Even if you do not wish to come to our monthly meetings or become involved on a committee, we hope you will join our organization so that you may help us with preserving your family records and share your knowledge of the community with us. Our newsletter will be sent to you quarterly and your dues will be spent primarily for postage, copies of records and printing. We have already discovered at our first meetings that there are families looking for their ancestors and others already have the information. Steele Creek families in the late 1700s and early 1800s intermarried and most of our grandfathers are related in some way. Hopefully we will be able to collect all of our data and store it at the new library that is coming to Steele Creek to be located in the shopping center at York Road and Sandy Porter Road within the next few months. c. What happened to it, i.e., sold, burned, etc. a. Where located, who operated them and when. 4. Old roads and communities. 2. Interview older people about the memories of Steele Creek. 3. Copies of old wills, bible records, letters, etc. to put on file to help each other. 4. Pictures of the family with names and information about the people in the pictures. If you have information about Steele Creek history, including its families, buildings, and traditions, that you would like preserved for posterity, please contact Linda Blackwelder at llblckwldr@bellsouth.net or 704-588-6575. She welcomes contributions. The Steele Creek Historical and Genealogical Society meets on the last Monday of each month (except July and December) at 7:00 P.M. (unless changed for a special function) at Central Steele Creek Presbyterian Church. Room 300 in the Family Life Center, located at the Intersection of S. Tryon St. & Westinghouse Blvd. At each meeting they have a speaker on Steele Creek and area history, genealogy, and other related topics. (Meetings had been at the Steele Creek Library until the library cut back its hours.) Meeting announcements are typically posted on the Steele Creek Forum, or contact Linda Blackwelder to confirm meeting locations and times. Annual dues are $15 a year, payable by January to PO Box 411711, Charlotte, NC 28241.